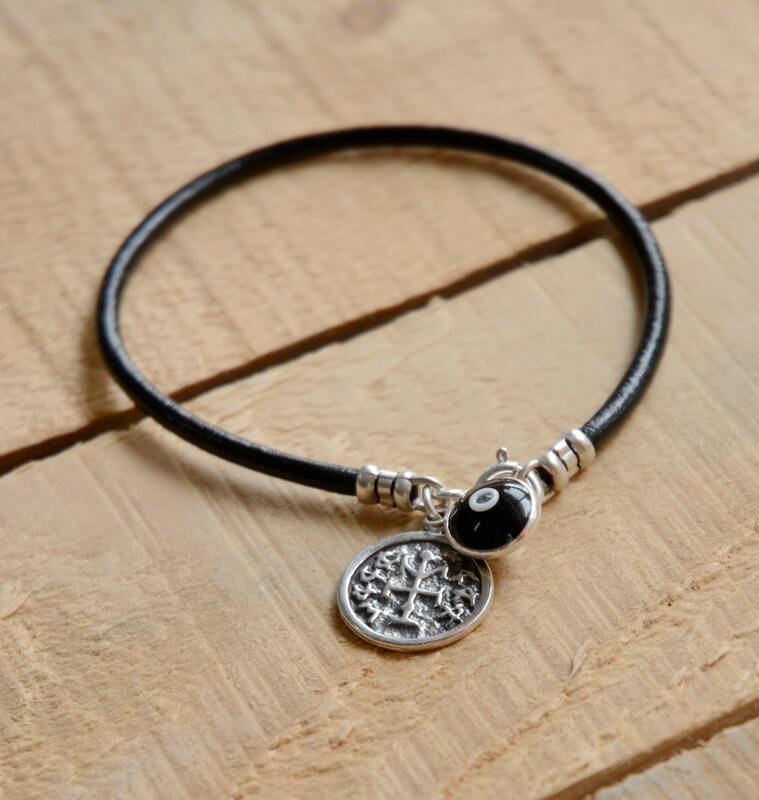 This leather bracelet includes the 925 Sterling Silver Evil Eye charm in Black and the King Solomon Seal amulet. The Winner Solomon Seal Amulet helps to concentrate efforts for finding the right time, place and way to bring about victory and winning for the wearer. The Solomon Seal Amulet is approximately 0.5” in diameter. 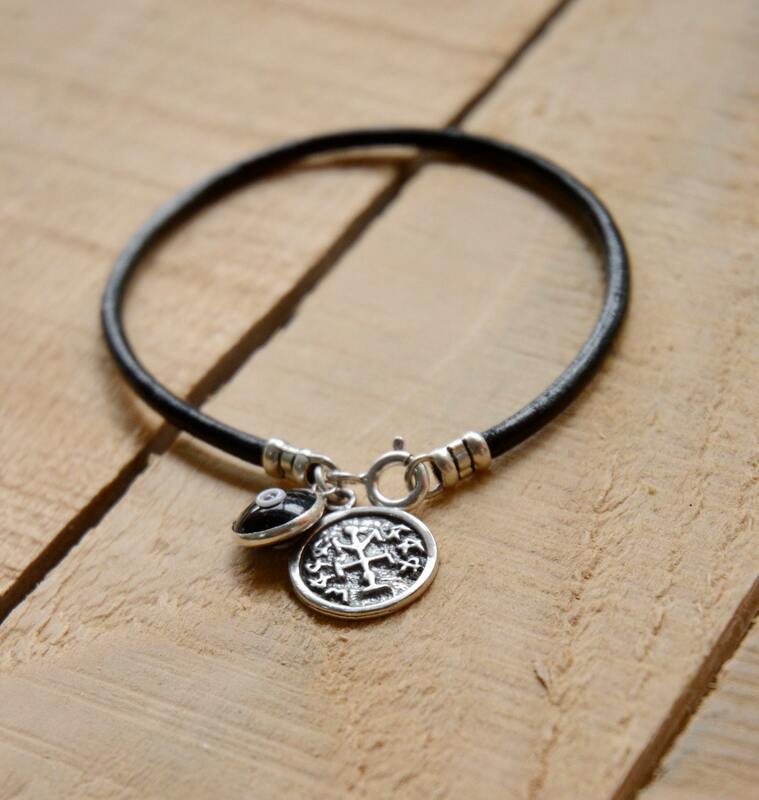 The leather bracelet is standard 7'' or 8'' .